My family owns 40 acres of land in Virginia, which my father gets to develop as his own sustainable wilderness. Though not a homesteader, he does have dreams of an ecologically friendly house there one day. 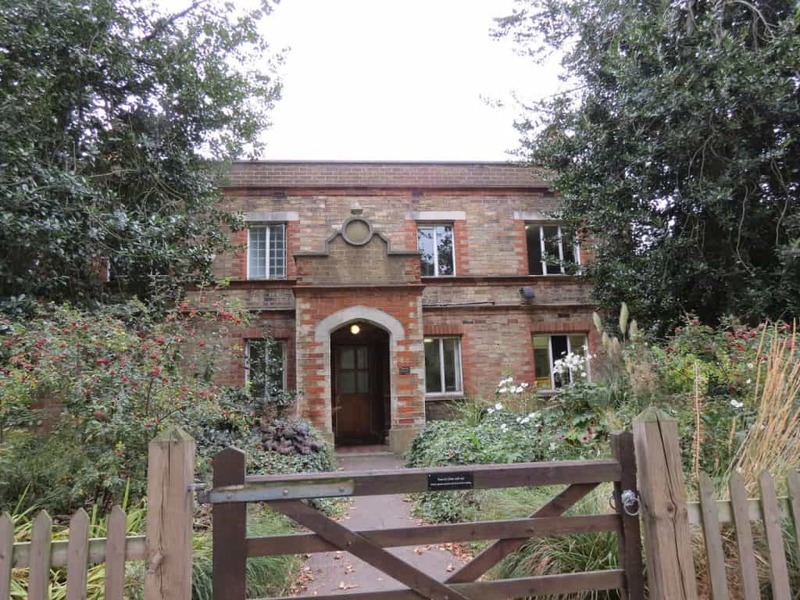 In the meantime, he gardens, has planted an orchard, dug a pond…and has started keeping bees! 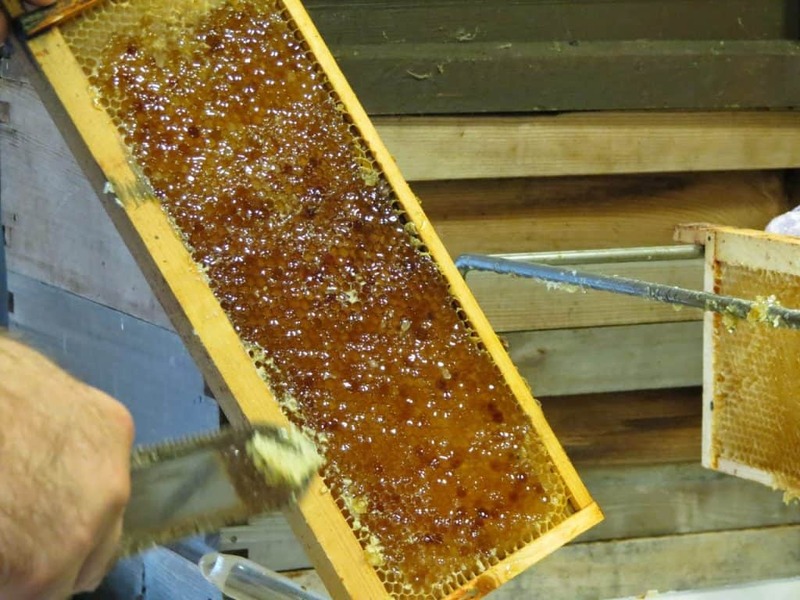 I’ve only visited my family a handful of times since they moved to Virginia and thus have only seen my dad in beekeeping action once or twice. When a notice about a beekeeping open day for BeeUrban came to my attention, I resolved to head to Kennington Park to see more. Kennington Park is close by a small area known as Oval, notorious as a site of criminal execution—particularly of 18th century highwaymen. Today it abuts the Park which itself contains an odd mixture of old and new urban and social developments. Also in the 18th century, John Wesley, a founder of Methodism, preached here on social issues and reforms that concerned him and his followers. A house designed by Prince Albert, Queen Victoria’s consort, for the 1851 Exhibition shows his plan for providing new and better housing options for working class Britons in the 19th century. In the 20th century it has often been a gathering place for civil protesters. Prince Albert’s idea of urban change. BeeUrban, therefore, might be small but it’s in the right place to encourage new ways of thinking about urban agriculture. 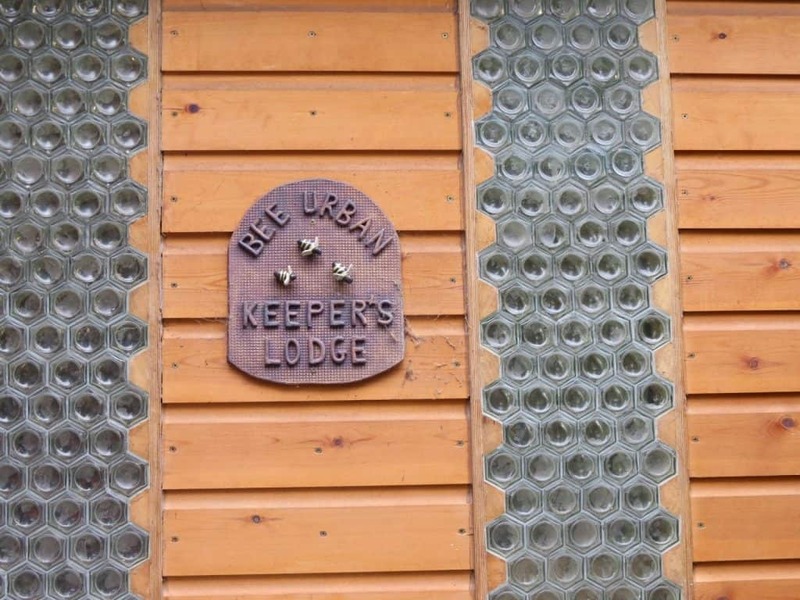 Running a “Bee Barn,” a timber building constructed near the park keeper’s lodge, BeeUrban transformed an unused garden into a bee paradise and uses its facility to provide education and training to those wanting to learn more about beekeeping. School groups, sponsoring businesses, and community volunteers are all welcome. 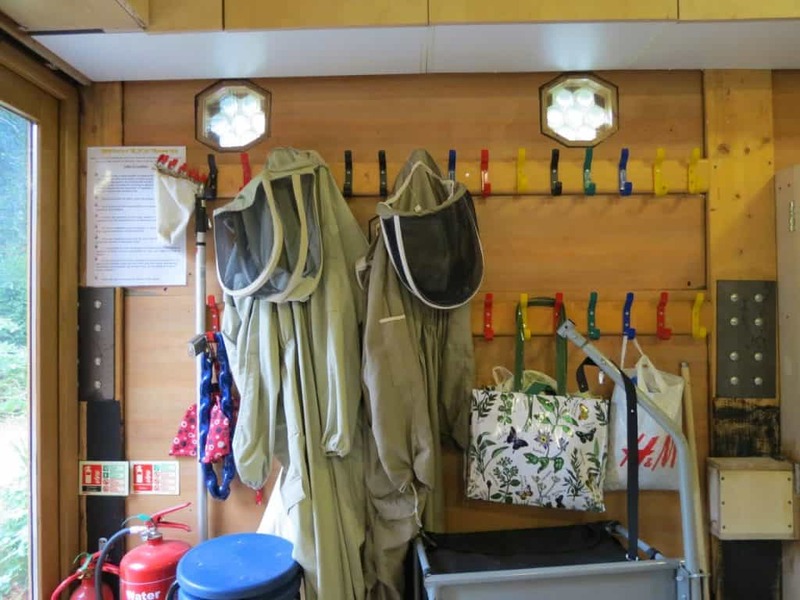 BeeUrban manages three apiaries, including the Kennington Park site, and participates in educational and outreach events across London. 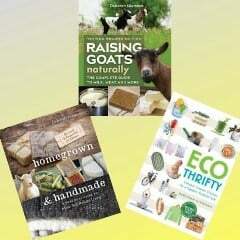 They provide classes on candle and paper making, cooking, hive construction, and more. I happened to show up on a particularly lucky day! The insects were merrily busy in the garden and plenty was happening within the barn itself. 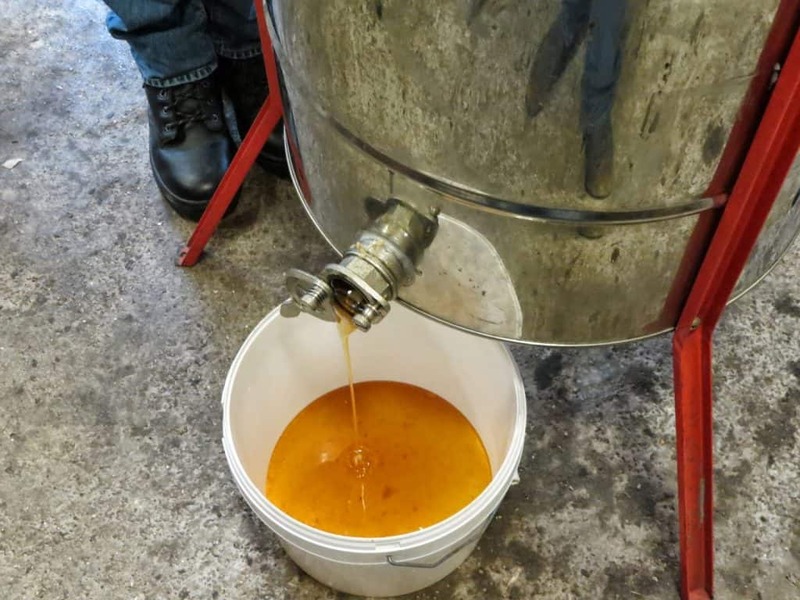 Barnaby Shaw, the head of BeeUrban, and another volunteer were harvesting honey and allowed me to view the process as they chatted to me about honey-based events in Britain and their production rate. 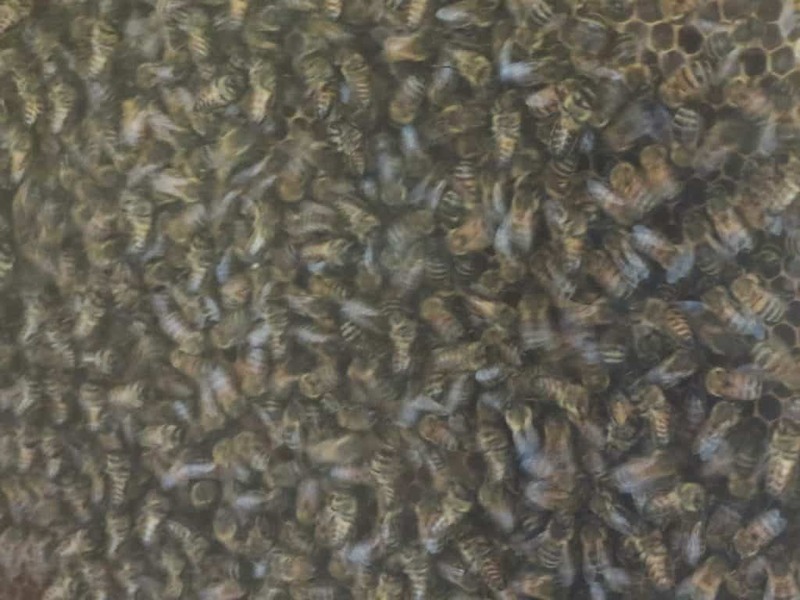 A relatively mild winter last year meant that a higher proportion of bees survived the winter than the previous year and the hives they have on site have produced about 300 kilos he told me. This honey is sold from the Bee Barn, or from the Kenning Park Café, just a short walk away. Trimming the caps off the individual comb cells. Preparing to spin the frames to release the honey. 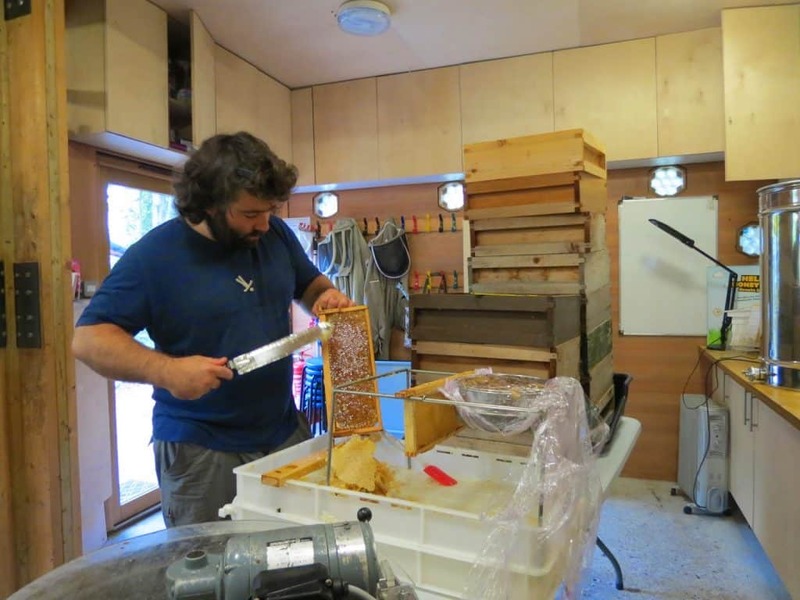 I was initially surprised that the tools of beekeeping seem so rudimentary, but I learned that it’s hard to improve on the design of traditional tools. Simple hand tools to scrape hives, cut combs, and drain honey do not need to be complex to be effective. 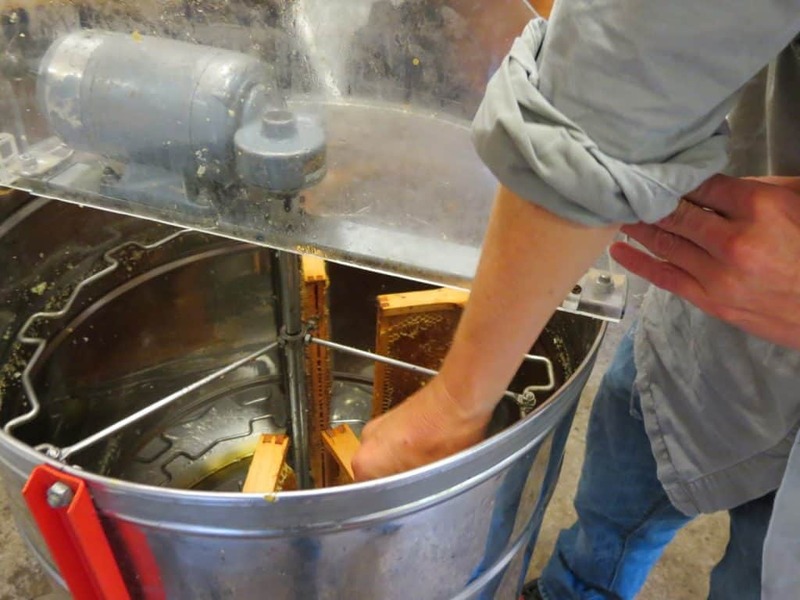 There is lively debate on which types of hives may be preferred, but a great deal of beekeeping seems to involve just allowing the bees to do what they have evolved to do and benefiting from their industry. And the results are lovely! Bee health is so important to sustainable agriculture and it’s troubling to scientists and farmers alike that their populations are plummeting. Many groups are working to understand their rapid decline more fully, but it’s safe to assume that human beings are involved in the loss in various ways. According to the Bumblebee Conservation Trust, two species of British bees have gone extinct since the start of this century and two more are seriously threatened. The loss of bees could prove devastating to agriculture as neither nature nor human effort has ever produced a more wonderfully successful pollinator. When human beings think of extinction, we normally think of large animals which are lost to us (such as Ice Age megafauna) or dangerously close to gone now (such as pandas and tigers). But the truth is that our choices about energy, food production, transportation, and lifestyle affect life forms straight down to bacteria. These changes can and do affect us in return, and we need to properly appreciate the symbiotic relationships we share with even tiny creatures like bees. Members of BeeUrban’s observational hive. Which is why groups like BeeUrban, who create and cultivate healthy bee populations and the green spaces they need to thrive, and foster understanding of these tiny but vital creatures, are important. Later in the day that I visited, a BBC program was planning on interviewing Shaw. I will definitely be tuning in to the show when it airs later in the month. 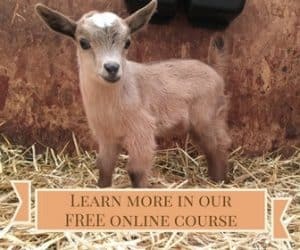 BeeUrban is doing good work and deserves all the support it can get. How have insect populations affected your area of the world? Have you experienced the changing numbers of bees personally or in a way that’s affected your farm or garden? And do you have any stories about beekeeping to share? Let us know in the comments! I have only recently read that a gardener got three times his usual yield of cucumbers (of all things!) after he started keeping bees in the same garden. Only then I began to understand the impact of bee pollination and how much we might lose by the plummeting bee populations but also how much we might gain by encouraging even more bee-keeping tan before the decline.